The class timings are from morning 8 to 12:30 noon. The projects are given regularly. Exams are conducted at regular intervals. My college has well-experienced teachers who make students understand the concepts thoroughly.The experience is great. Main festivals like ethnic day celebrations, college day, sports events, a cultural programme like singing, dancing etc. Students in the college are well mannered too. 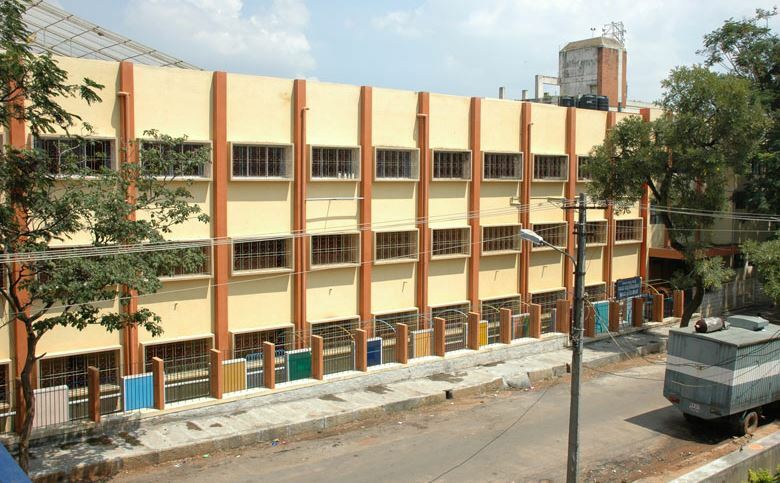 The Classes in Vijaya College are held from 8 am-1:30 pm. And project assignment and project teaching are very good. The Teachers take the individual interests in the student. They are one fest called Suggs that's the Intra-College fest held in Vijaya College. The NSS and NCC camps and participation is appreciatable. Daily college starts at 5 pm and ends at 9 pm. Each period one hour. Assignments are required to be submitted every semester. Lectures are well qualified. Method of teaching is conceivable. Overall experience in the college is great. The daily routine starts at 8:00 am till 1:30 pm. Quality of teaching is good. Overall experience is good. There are clubs and societies in this college. There is no main festival in this college. Life is good in this college. Classes start at 8 am and end at 2 pm. Very good and qualified teachers are here. I had a good experience. NCC on the campus helps students to maintain their disciplinary. 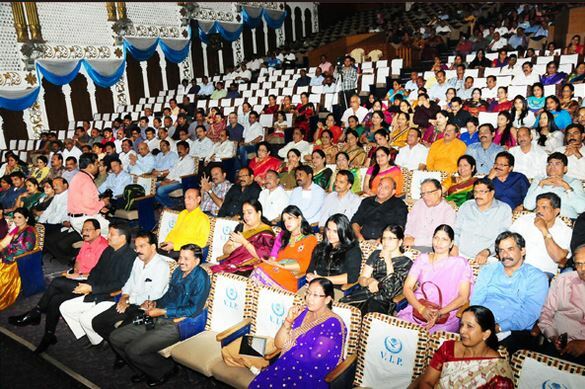 Many cultural festivals like Vinyas are there which would build talent among students. 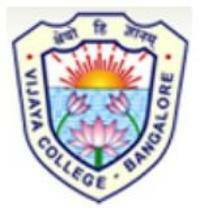 Vijaya College, Bangalore was established in 1945, one of the best learning centres in Karnataka. This college is known for its old world charm and traditional culture and it is well known landmark in South Bangalore. College is guided by BHS Higher Education Society (BHSHES). The college was established with the motto to encourage undergraduate pure science education and provide quality input to higher institutes of learning and to provide holistic development of a student. The vision of the college is to elevate the college into one of the best learning UG centers and to empower every individual with honesty, sincerity, integrity and knowledge. The mission of the college is to achieve excellence in education with the philosophy that Education is a prime contributor to the development of self, society and diverse human enterprises. To Achieve excellence in education with the philosophy that Education is a prime contributor to the development of self, society and diverse human enterprise. To elevate the college into one of the best learning UG and PG centers. To empower every individual with honesty, sincerity, integrity and knowledge. Embark upon rural education endeavors. 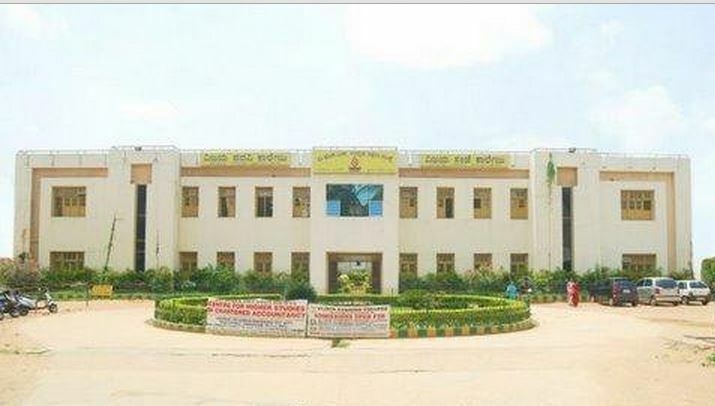 The college campus is situated in Basavanagudi known for its old world charm and traditional culture, Vijaya College, established in 1945, is a well known landmark in South Bangalore. It is centrally located and well connected to all parts of the city. The College has launched the placement and career counseling cell for the benefit of the students. The Cell’s primary objective is to provide the much needed life skills to students and help them to find job placements.